At London Doctors Clinic, our doctors aren’t just here to help with physical ailments: they’re also able to advise on various mental health, lifestyle and behavioural issues. From depression, addiction, to anger, a GP can advise on 99% of issues, and refer onto the appropriate specialist services for the other 1%. All of us have at least a basic understanding of what anger is, and all of us have felt it at some point in our lives, whether in the form of a fleeting irritation, or in it’s full-blown, destructive glory. Anger is a completely normal, even healthy, human emotion, which often causes us to strike out irrationally and instinctually in response to an annoyance, a hurtful or traumatic experience, or a sense that we have been wronged or misunderstood in some way. Feeling angry can alert us to the fact that something is wrong, and we need to fix it. When anger gets out of control and turns destructive, it can lead to problems—problems at work, in your personal relationships, and in the overall quality of your life. And it can make you feel as though you’re at the mercy of an unpredictable and powerful emotion. 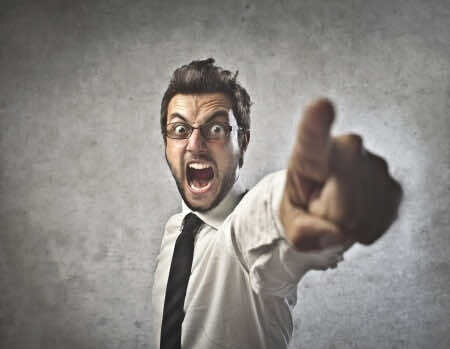 If we direct anger outwards, for example, towards other people (who may or may not be the original source of our anger), we increase the possibility that we will strike out aggressively, say things we later regret, damage important relationships, and even disrespect social norms and laws to the degree that we suffer consequences, such as legal repercussions. So how do we deal with our anger effectively, and learn to control it before it controls us? The answer is through using Anger Management. “Anger Management is the process of learning to recognize signs that you’re becoming angry, and taking action to calm down and deal with the situation in a positive way. Anger management doesn’t try to keep you from feeling anger or encourage you to hold it in”, as defined by The Mayo Clinic. Some people find that breathing exercises can help to settle angry feelings. The simplest ones that are often the most effective can be self-taught. For example, the next time you feel angry you might like to try sitting with your back straight, eyes closed, and on hand on your tummy area. Practice breathing deeply, and slowly repeat a calming word such as “relax” to yourself as you breathe in and out slowly. Not all anger is misplaced; sometimes it can be an understandable response to a real injustice or difficulty in our lives. The most useful attitude in such a situation is to accept the problem, and focus on finding a solution for it. This can be done through identifying your problem, recognising how you will know when it is solved, and dividing your plan for tackling it in to manageable chunks that are effective without feeling overwhelming. Put simply, this means changing the way you think, in the hope that you can subsequently change the way you respond to irritating people or situations. When people feel angry, your words can reflect your inner thoughts, and because anger is such an emotional reaction, our words can often seem over the top or dramatic. Practise replacing phrases such as “this is terrible, everything’s ruined” with more realistic and less distressing thoughts such as “this is frustrating, but it’s not the end of the world“. Use cold, hard logic on yourself – logic defeats anger, as anger often causes us to become irrational! The strategies outlined above are only a few of the many available techniques that can help you. Other ways of beginning to deal with anger include using humour, changing your environment or developing tolerance to frustration. You may feel that your anger is becoming uncontrollable, or impacting on your ability to enjoy life, or maybe you feel that you would like support and guidance on applying some of the many strategies that may help you if you are struggling with angry feelings. If this is so, then the first step is speaking to a GP, to assess the situation. From here, your doctor may recommend you try counselling with a licensed psychologist or mental health professional, who can work with you on developing a range of techniques to help you change your thinking and behaviour, preventing your anger from making you even more unhappy in the long term. There is plenty of help available for anyone whose anger is spiralling out of control, but you have to take the first step to get the ball rolling. Book an affordable Private GP appointment today.